Co-Creating Change shows psychotherapists how to co-create with patients a relationship for change. Hundreds of vignettes show how to resolve resistances with a wide range of patients. Every theoretical point is illustrated with a clinical vignette, showing how theory translates into practice. The book is divided into three sections: focusing effectively, building capacity, and reducing resistance. Focusing Effectively shows how to assess the patient’s need moment by moment to co-create with the patient a relationship for change. Building Capacity shows how to help people who suffer from excessive anxiety, projection, and acting out. The book shows how to help these patients see and turn against their defenses so they can channel their feelings into effective action rather than maladaptive acting out. Reducing Resistance shows how to help highly resistant patients let go of treatment destructive defenses in order to form a therapeutic alliance. This book is a brilliant master class. It demonstrates how to work collaboratively with patients, safely, compassionately and effectively to achieve successful outcomes. Outstanding clarity and the mastery of material are its hallmarks, using experience distilled from analyzing therapy sessions. Throughout, each technique is illustrated with relevant vignettes, analyzing what is happening with the patient and also the rationale for the intervention being made. It makes an absorbing and illuminating read. A clear outline of principles and reasons for each intervention, and the inclusion of common mistakes, danger signals and ways to avoid trouble, adds immensely to the book’s value. In this excellent and very readable book, the process and techniques of dynamic therapy are made accessible and understandable. It provides a valuable learning tool for all therapists and students using dynamic psychotherapy, enabling them to become much more proficient and focused on what they are doing and why. It is an invaluable resource for all therapists practicing dynamic therapy but an absolute ‘must have’ for all students hoping to master the process. Susan Warshow, MSW, founder of the Deft Institute. 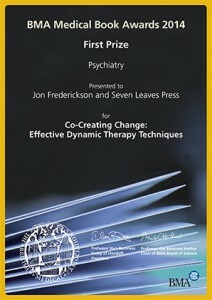 Jon’s book deserves the destiny of becoming a classic in the field of psychotherapy. 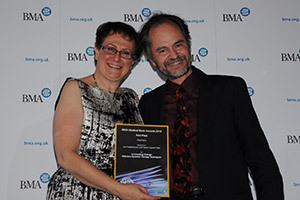 It covers a dazzling sweep of topics indispensable to a clinician hoping to do profoundly transformational work. I only wish I’d had this available as I was struggling to manage difficult, rapidly occurring defenses and significant anxiety reactions. Jon’s book gives the therapist tools for just about everything a therapist will encounter in such a clear, delightfully relatable way. Every therapist is fortunate who reads this book! It is a tour de force, a truly breathtaking accomplishment, because it details just about everything a therapist needs to know to do powerful, transformational work with patients representing the entire spectrum of psychopathology. Jon’s style is warm, personal and exceedingly clear, and he equips the therapist with detailed interventions to handle every confounding defense, manifestation of anxiety, or other intrapsychic phenomena that is likely to present itself in a therapist’s office. From the brilliant and beautiful opening paragraphs on accomplishment and suffering, Jon Frederickson carries us right into the process of effective psychotherapy. He tells us just what we want to know about theory of technique, but he never loses touch with our need to know what to do to convert our patients’ sticky places into centers of growth. He shows us how to keep going in the face of obstacles put up by the keen and hurt minds we encounter. With Co-Creating Change, Frederickson, a luminous teacher and scholar, has created a classic resource on the most modern of psychotherapies, Intensive Short-Term Dynamic Psychotherapy. Jon Frederickson, MSW, is a therapist in private practice in Washington, DC. He is cochair of the Intensive Short-Term Dynamic Psychotherapy (ISTDP) Training Program at the Washington School of Psychiatry, where he has been on the faculty since 1988. He was previously chair of the Supervision Training and Advanced Psychotherapy Training Programs at the school as well as chair of the Faculty Clinical Council. He is the chair of the ISTDP Core Training Program at the Norwegian ISTDP Society and on the faculty of the Laboratorium Psychoedukacji in Warsaw and the Italian Experiential Psychotherapy Association in Treviso. He is also the author of several books, including The Lies We Tell Ourselves: How to Face the Truth, Accept Yourself, and Create a Better Life; Co-Creating Change: Effective Dynamic Therapy Techniques; and Psychodynamic Psychotherapy: Learning to Listen from Multiple Perspectives. Jon gives clinical presentations ranging from half-day events to three-day sessions on many topics. He also runs training groups in the United States, Sweden, Denmark, Norway, Poland, and Italy. Each group meets four times a year for three years. Jon and his teachers offer intensive skill-based training for therapists.